I’ve been setting up websites for some time now and I keep seeing people throw money away time and time again. One way that people spend more than they should for their website is based off of confusion on what to buy when setting up their website. You should almost never spend more than $7 per month on your website. 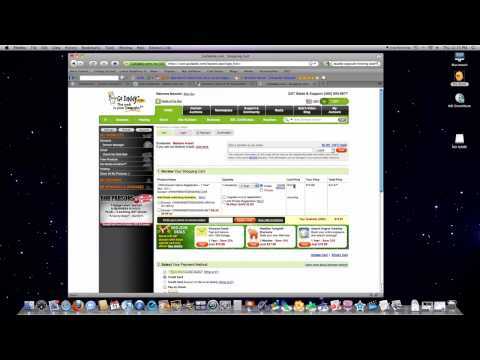 In this video, I walk you step-by-step through the process of buying a hosting plan with GoDaddy. I use GoDaddy because they have good support, my website has never been unavailable, and they are cheap. There are many other great hosting companies and this is in no way an advertisement. If you use GoDaddy though you have to watch out because they go out of their way to up sell you products that you don’t need. Don’t buy domain hosting when you register your site, otherwise you have to pay for the whole year up front. If you add all of those options up you get a minimum savings of $532.40 per year, if you avoid all of the unneeded options. The video will show you exactly how to set everything up. If you have any questions just comment below. I hope you save yourself some money. Thanks Derek! I always wondered if some of those tools would benefit my business! No problem. Just wait and see the results after I optimize your keywords!